As Perth’s two storey home specialists a large proportion of our enquiries are for two storey home designs and therefore we are constantly developing, changing and tweaking our range of designs as well as creating exciting, new elevations to meet the wants and needs of our clients. Due to the downfall in the West Australian economy since the mining boom ended, we receive many calls from prospective buyers wanting to build a 2 storey design but finding the cost is stretching their budget. At Great Living Homes we will always do our best to get you into a home you will love without exceeding your financial limits whether that means reducing the size of the home, changing or removing costly features or even helping you to source more affordable land. With the rise in land prices throughout Perth suburbs and the release of smaller and smaller blocks of land, there is currently high demand for house and land packages especially for first homebuyers looking to get their foot in the door of the housing market.Our hard working building consultants have recently been out sourcing the best value land available for sale and working with our estimator to create affordable house and land deals for us to sell, in both single and Double Storey Designs. We are now very excited to unveil the newest blocks which are located in Wannanup, just south of Mandurah and nestled between the ocean and the gorgeous Wannanup canals. There are only two of these fantastic 500m2 blocks available located at 9A and 9B Duke Street Wannanup, combine one block of land with one of our selected 2 Storey House Designs from just $369,000. But don’t be disappointed if you miss out this time around as we do have more exciting opportunities still to come! We must also point out that the $15k First Home Owners Grant is available with these deals and this has not been deducted from our advertised price. 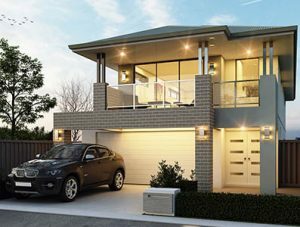 Stay tuned for more house and land packages featuring our stunning 2 storey house designs or single storey designs, or if you already have land and just need a home to go on it then why not contact our team of knowledgeable staff to help you build an affordable, resilient and quality mandurah homes.